Thanks to a heads up from Seibertronian Podcaster xRotorstormx, we have some interesting news for you straight from the official Play Station Twitter page. It appears as though Bumblebee, thanks in part to his latest film, has made quite a cultural impact, and he has now transcended into the gaming world. Play Station announced that they are running an exclusive Bumblebee Play Station 4 Controller, featuring Bumblebee in his newest VW form along with some Autobot symbols and tech detailing on the controller. 1) Pre-order the Bumblebee movie from the PlayStation Store on the PlayStation®4 Console, coming March 19, 2019. 2) Receive your code via the email tied to your PSN account. 3) Enter the code at the SCUF Gaming website. 4) Purchase one of the SCUF Vantage Bumblebee limited edition customized controllers. The price for the controller is $199.95. This is definitely a pricey addition to the Bumblebee movie memorabilia, but definitely a cool one nonetheless. Check out the controller below, and let us know what you think of it in the comments section below! $200 for a controller for a console that's going to be phased out since Sony is getting ready for a PS5? What in the actual ****? So if you actually were to use it, how fast will the decoration start to rub/wear off? I've heard good things about the Scuf controllers, but offset analog sticks feel weird to me, but I don't play on a level that requires a controller like this. Hell I find the normal controllers to be pricey. I was 100% in until I saw the price. That's robbery. It's a shame, too. That's a gorgeous controller. 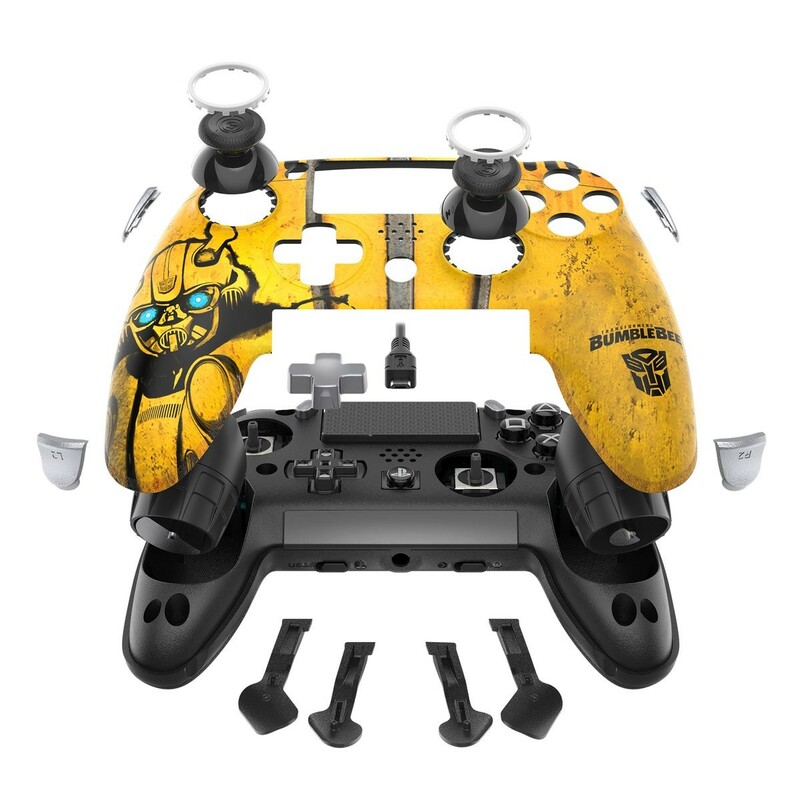 Remember how there was a Bumblebee movie limited edition PS4 controller that was set up as a sweepstakes? Well, it appears as though the Bumblebee movie is getting another shoutout in the gaming world, this time in the XBox industry! 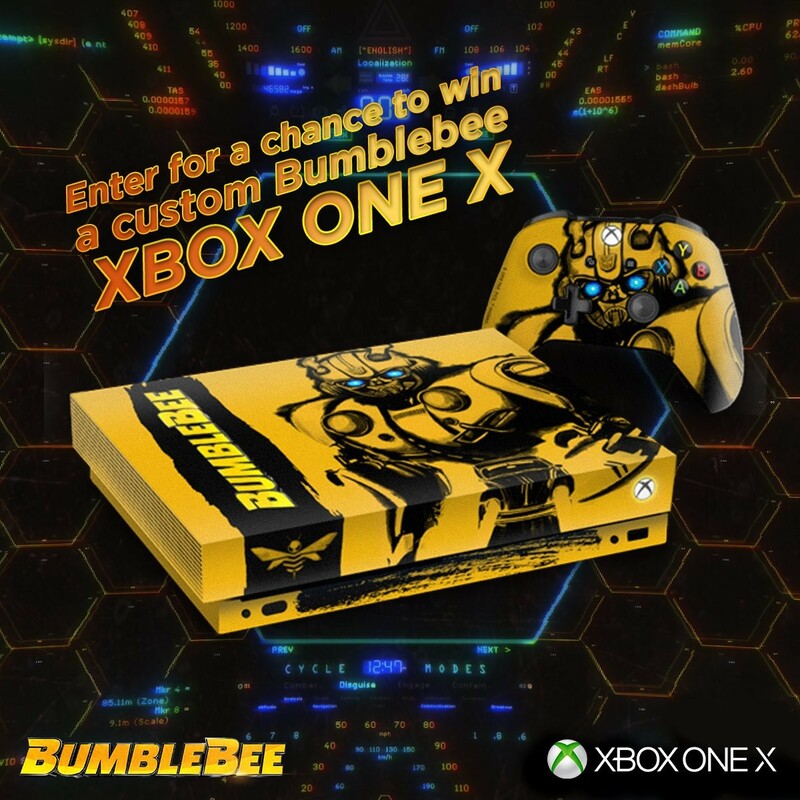 Thanks to Seibertronian Nathaniel Prime, we have word that X-Box is running a sweepstakes where 5 lucky winners can get their hands on a customized XBox One X that is decorated with Bumblebee art. You can find the Sweepstakes listed on Twitter, Facebook, and Instagram. So do you want to enter? Here's how! 1) Be a registered Xbox Live account holder ages 18 years or older. Minors must have consent from a parent or legal guardian. 3) Retweet This promotional post between now and April 2. 4) The 5 winners will be announced 1 week following the end of the contest, where they will receive their XBox One X Bumblebee version along with a code to download the Digital copy of the Bumblebee movie. Check out the console below, and let us know if you intend to enter, and what you think of the XBox in the comments section below! 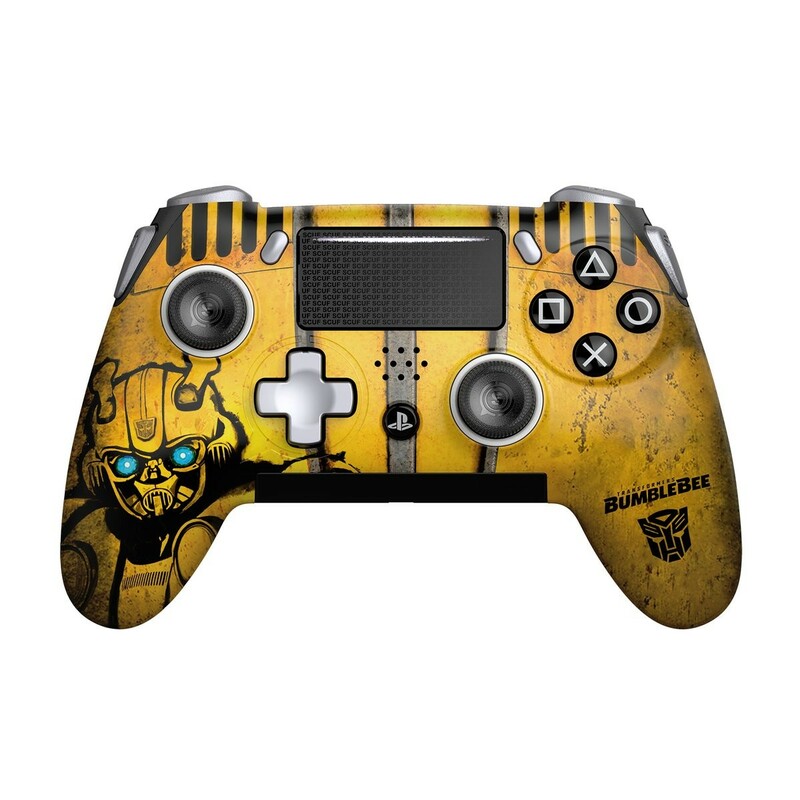 D-Maximal_Primal wrote: Remember how there was a Bumblebee movie limited edition PS4 controller that was set up as a sweepstakes? Well, it appears as though the Bumblebee movie is getting another shoutout in the gaming world, this time in the XBox industry! Yeah, took and entered. Why the hell not. Worse comes to worse, I end up having to download mot of my games all over again. It will be nice that in 4k to push a GS that is OVER 9000! 3,939 pages were recently viewed by 498 unique visitors. This page was viewed 1 times on Monday, April 22nd 2019 5:06am CDT. © 2019 Seibertron, Inc. DBA Seibertron.com. All Rights Reserved. Established June 2000. Seibertron.com is owned by Ryan Yzquierdo.